For anyone who knows that holidays aren’t worth celebrating unless your pet can come, too. I don’t know about you guys, but now that we’re less than two weeks out from Halloween and I’ve been to four parties this week alone, I’m starting to run out of costumes. Fortunately, as I’ve discovered by writing my series on easy Halloween costumes, a fab costume can be created so easily from items you already own! 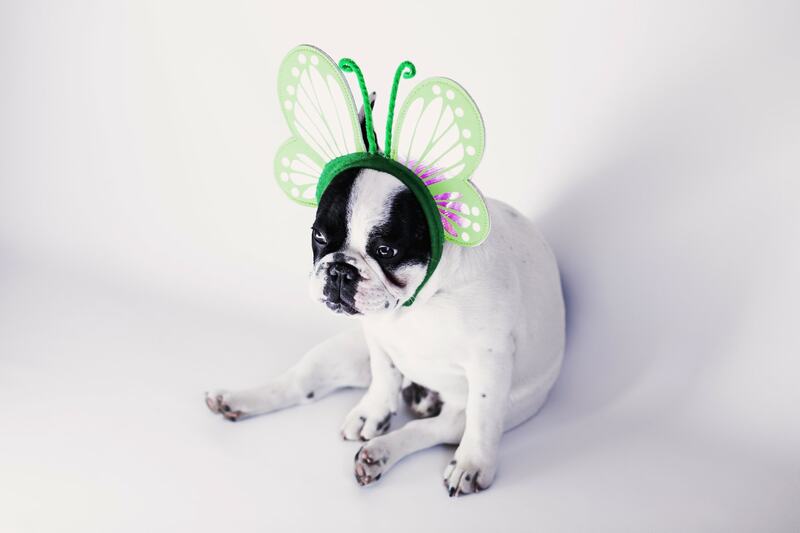 So far we’ve covered group costumes for your girl squad and pairs costumes for you and your BFF, but this week we’re going to go in a slightly different direction – it’s time for Halloween costumes for you and your pet! Is any human/dog friendship more classic than Dorothy and her beloved pup Toto? Probably not. 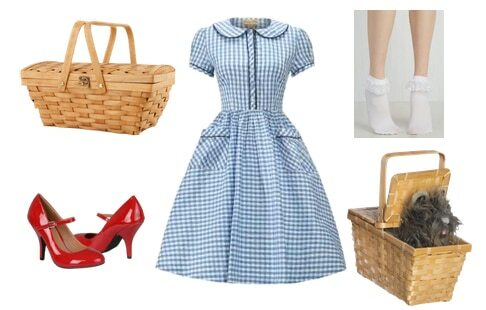 Even if you don’t have a vintage-inspired gingham dress hanging in your closet, the same effect can be achieved with any light blue dress layered over a white shirt. Just be sure to rock Judy Garland’s iconic pigtails (hair tutorial here!). White lacy socks and any red shoes (assuming you don’t own ruby slippers, ahem) are obviously necessary. First of all, if you haven’t watched Kiki’s Delivery Service yet, go do that first so you can acquaint yourself with the cutest little witch of all time! 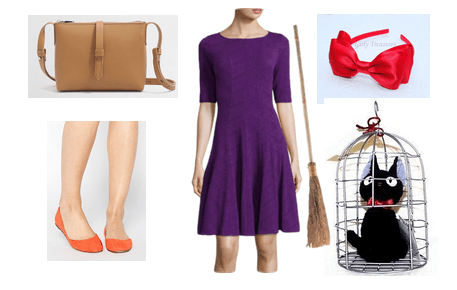 Kiki‘s look is much more girly and unique than that of your traditional witch, so she’s a great option if you want to rep the spirit of Halloween with a playful twist. Her deep plum dress is season-appropriate and only needs to be paired with orange ballet flats and a giant red bow (the bigger the better!). I for one am usually too lazy to carry around a prop all night, but if you’re truly committed, a broom is a great addition to the ensemble. If you’re the kind of person who loves forcing your animal BFF into a glorified onesie (do it for the photos and then free them from their costume misery), look no further than this precious Stitch dog costume. For your own matching outfit, wear a red flowery dress that’s a reasonable dupe for Lilo’s, (or DIY your own using this tutorial!) 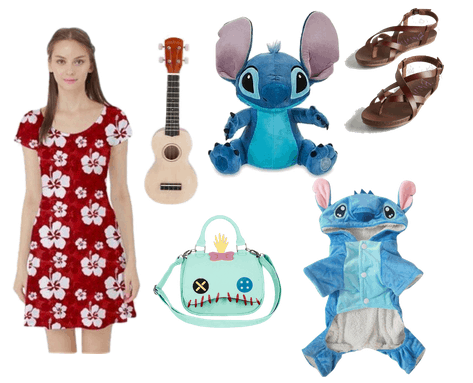 then tote a ukulele and a Scrump purse, which is an adorable reference to Lilo’s handmade doll. Lilo’s shoes are Birkenstock-y, but the same effect can be achieved using whatever beachy sandals you already have in your closet. If you don’t have a pet (or if your pet flatly refuses to cooperate with a costume), simply carry a Stitch plush.